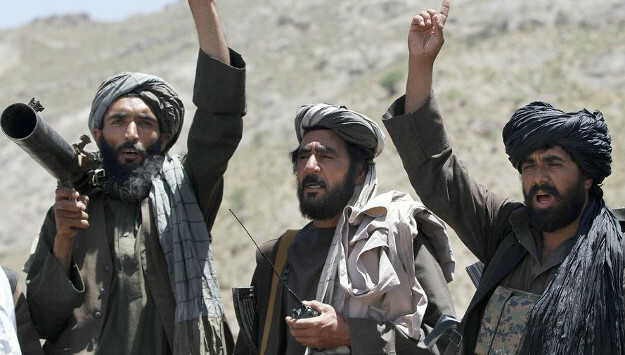 With Afghanistan’s western Farah Province on the verge of falling to the Taliban, Afghan officials and tribal leaders in the province accuse neighboring Iran and Pakistan of aiding the insurgents for political and economic ends. According to Afghan analysts, Iran provides assistance to the Taliban in western Afghanistan to destabilize the region and obstruct major development and construction projects there. They claim that Iran opposes the construction of hydroelectric dams in western Afghan provinces in order to ensure the free flow of Afghan waters into Iran, which is suffering alarming water scarcity. Masood Bakhtawar, a tribal leader in Farah, said Tehran particularly wants to prevent the construction of the Bakhshabad dam as well as the Turkmenistan-Afghanistan-Pakistan-India (TAPI) gas pipeline project. In reply to questions by journalists whether Tehran and Moscow have provided the sophisticated weapons the Taliban use in Farah, Afghan officials did not name any particular country but acknowledged that the “intelligence agencies” of regional countries aid the insurgents in the province. The Afghan Ministry of Defense added that the Pakistani intelligence agency (ISI) and the Taliban leadership based in the Pakistani city of Quetta have been mobilizing fighters to attack the Afghan security forces in Farah. The Afghan minister of defense recently traveled to Tehran to discuss security cooperation between the two countries. Comment: Farah, which borders Iran, has seen an uptick in violence over the past year. In March, the Taliban briefly overrun a district in Farah and killed several policemen. This week, militants killed scores of Afghan security personnel and today reached the gates of the provincial capital, forcing the U.S.-led coalition to dispatch air support to the struggling local forces. More than a thousand Taliban fighters reportedly took part in the operation. Afghan officials have long complained that Iran’s Revolutionary Guards aid the Taliban insurgents in western Afghanistan in an effort to torpedo construction projects and undermine stabilization efforts by the US-led coalition in the region. Unlike in the past, IRGC-affiliated media outlets now openly express support for the Taliban’s latest territorial gains in western Afghanistan. A lengthy analysis piece in Tasnim News Agency, for example, argued that the increasing influence of the Taliban in neighboring Farah province not only poses no security threats to Iran but serves the country’s national security interests. It said that the Taliban cleared Farah of ISIS and has pledged that the group will keep friendly relations with Iran and other neighbors of Afghanistan. Commentary in the IRGC outlets also indicate that Iran’s support to the Taliban is aimed at expelling U.S. and NATO forces from Afghanistan, particularly from western Afghan provinces. In addition, one IRGC news agency recently raised alarm about the “growing influence” of Arab Gulf states in western Afghanistan, specifically citing Saudi Arabia’s interest to help finance the TAPI natural gas pipeline, which will connect Central Asia to South Asia through western Afghanistan. According to Afghan officials, Tehran wants to undermine the TAPI project because it rivals Iran's own regional pipeline project. In March, Musa Khan Nasrat, a member of parliament representing Farah, attributed the Taliban’s latest gains in Farah to sophisticated weapons the insurgents have allegedly received from Iran. “Iran is involved in supporting the Taliban in the western zone, particularly in Farah Province, which shares border with that country, and secretly empowers this group. Taliban freely travels to Iran through Anardarah District and receive support [in Iran].” He called on the government to shut down border crossing between Farah and Iran. Several Afghan analysts echoed similar concerns about Iran’s aid to the Taliban.